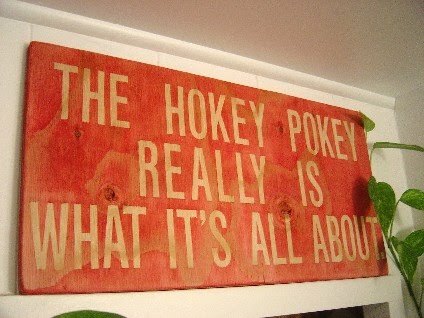 Hokey Pokey Sign Featured - How lucky is that??!!! I was so excited to see my Hokey Pokey sign as a sidebar feature on Funky Junk Interiors today. Thanks so much Donna for the recognition. Your thoughtfulness provided a very nice ending to my day here. Yeah! 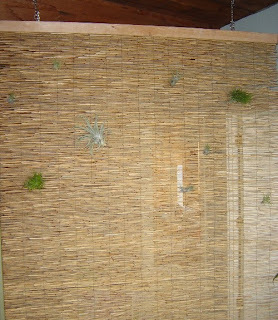 Then I wake up Monday morning (living in Hawaii, I'm several hours behind those living on the continental U.S.) and find a nice little note from Stephanie Lynn at Under the Table and Dreaming that tells me my humble little Hokey Pokey sign is featured today on her blog. Thank you too Stephanie Lynn; it's a great way to start my day. I feel very lucky! Yeah! P.S. Edit....it's Friday morning, May 28 and I've been off island several days and without internet access. 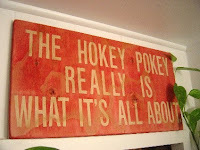 How thrilled I was to see that my humble hokey pokey sign was also featured on The Shabby Nest on the 26th. Another happy time for me. Thank you so very much; yeah! Well deserved! That's a great sign.